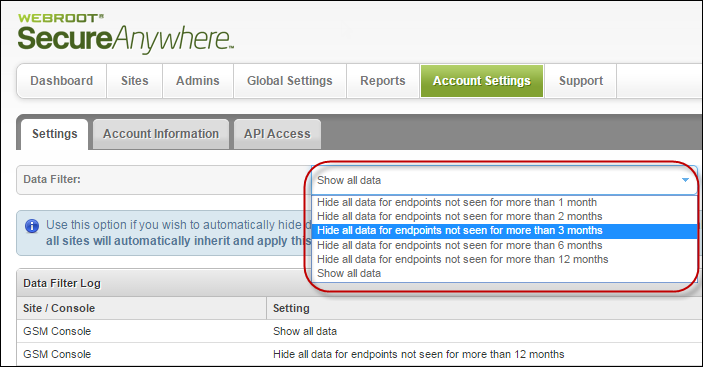 Within the Global Site Manager (GSM) console, you can remove endpoints from your data that have not been seen for a set period of time, giving you the most accurate data for the current state-of-play of your deployment. 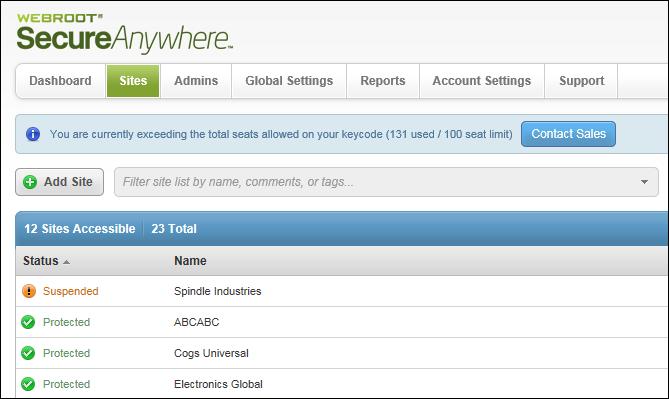 You can set a master setting in your GSM console to be inherited by all sites under that GSM, or set sites individually. 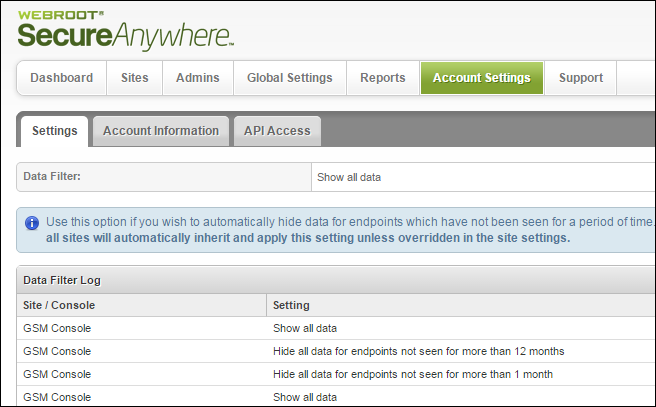 Your Dashboard and Scheduled Reports will only show endpoints which have been seen in the time period you select. When the Welcome message displays, click the X in the upper right corner. The GSM console displays with the Sites tab active. 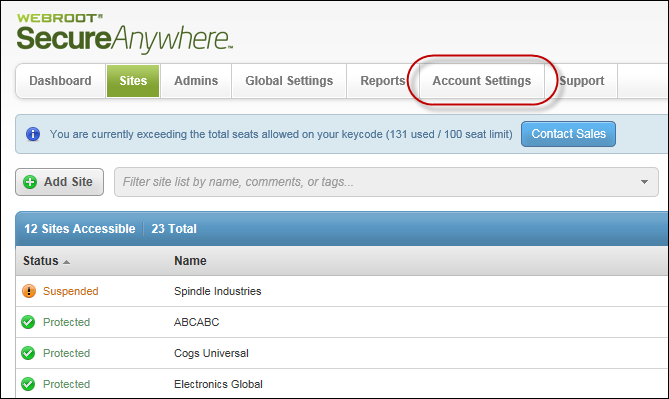 The Account Settings panel displays with the Settings tab active. When you're done, click the Save button. The system displays a note indicating that your changes have been saved. Note: If needed, select the Don't show this again checkbox to have the system not display the Save Successful message in future. Site/Console — The site the change was applied to or the GSM console parent setting that was changed. Setting — The option that was selected. User — The name of the user who made the change. Date — The date and time the change was made.